How are the date codes on heater hoses deciphered? Beginning part way through the 1968 model year, heater hoses on Ford Motor Company vehicles began having date codes included. The format is fairly basic. Their is a beginning character that identifies the part. It is either the letter "H" or the letters "LQ." After that is the last digit of the decade (in the picture shown, the "9" is for calendar year 1969), followed by a month code (A=January, B=February, this example H=August). Next are two digits that represent the day of the month ("04" for the fourth of the month). The last character is a shift code (A for first shift, B for second shift, and C for third shift). 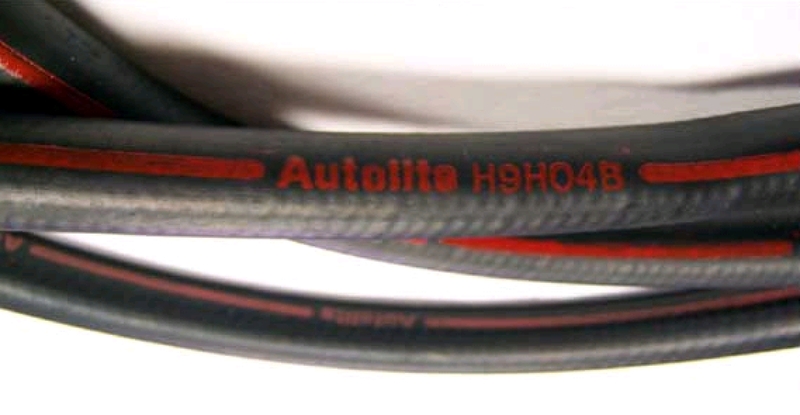 Therefore this example is for a heater hose produced August 4, 1969 on the second shift.